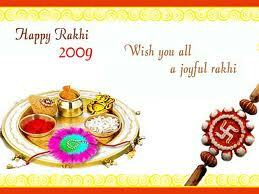 IN INDIA MOST FAMOUS FESTIVAL..THAT IS RAKHI FESTIVAL. THIS IS CELEBRATE THE FESTIVAL WHY THE SISTER AND BROTHER RELATIONSHIP. SISTER I AM WITH YOU EVER. DONT GET AFRAID AND PUT BOTH SISTER AND BROTHER THEY TAKE HEAD BATH DO POOJA THEY WILL GO FIRST THEIR LOVING GOD TAKE BLESSINGS WITH MOTHER AND FATHER. AND THEY WILL TIE RAKIE WITH HIS BROTHER AND THEY WILL COLLECT SOME MONEY OR ANY GIFT FROM SISTER. IF THEIR BROTHER OR SISTER STAYING IN LONG DISTANCES THEY WILL SEND THROUGH COURIER SERVICES OR POSTAL SERVICES AND THEY WILL TIE THEIR ITSELF. MOST OF THE PEOPLE WILL GIVE MONEY SOME PEOPLE GIVE RINGS OR GIFTS. THIS IS THE FESTIVAL WE CELEBRATE EVERYYEAR WITHOUT FAILURE. THIS IS THE TRADITIOINAL FESTIVAL. AND WE WILL CALL RAKSHA BANDHAN.AND THEY WILL DISTRIBUTE SWEETS AND ENJOY ALL THE FAMILY MEMBERS. Hi BONTHALA and thank you for sharing your information.